Dear friends: About a week before I was ready to launch FearlessMedia.org, I got a call from Glenn Greenwald. Then Pierre Omidyar. The result: I am joining an extraordinary team at the most exciting new news start-up I could possibly imagine. Its mission is entirely in keeping with what I was trying to build here at the Center for Accountability Journalism -- but so much bigger and bolder. Much of the thinking and planning I've done here will become part of our new venture, leaving no need to continue here. To all of you who have made donations: I have been incredibly touched by your kindness, and buoyed by your support. But of course I will now be returning all the contributions. If you still have your same PayPal account, or the address from which you sent your check is unchanged, you will be getting a refund in short order. Otherwise, please email me at froomkin@gmail.com. Please stay tuned for the next act. If you sign up or have signed up for email updates, I will let you know where to find me. Journalists are supposed to fight misinformation and hold the powerful accountable. When we fail, like we've been doing a lot lately, the consequences are grave: How can a democracy self-correct when it doesn't get the real story about what the people in charge are doing? How do we solve problems like climate change and income inequality if the press lets itself be distracted and spun by the powerful and the self-interested? The nonpartisan, nonprofit Center for Accountability Journalism -- operating as a project of the Investigative News Network -- will serve as an aggregator and amplifier of great accountability journalism. That means we'll champion gutsy reporting from mainstream and independent sources, explain its significance, put it in context, follow it up, build on it, and keep important questions from falling off the radar. But we'll also point out areas where the media has been too inattentive, too credulous, or too easily confused. We'll connect dots that have been left unconnected. And we'll establish best practices for writing about contentious issues with authority, rather than simply presenting conflicting he-said/she-said arguments and leaving readers baffled and under-informed. 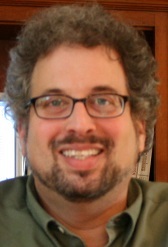 Led by Dan Froomkin, FearlessMedia.org will also serve as a model of how new technology can advance journalism. Through the thoughtful application of modern publishing software, the work of our small staff will have maximum immediate impact on multiple platforms, while also adding up over time into a vast repository of trusted information. Our active social media presence will allow us to nip misinformation in the bud at key moments in the narrative formation. New multimedia technology will enable us to launch panel discussions, live Q&As and town-hall style meetings in instants. After serving as a top editor at the Washington Post website, Dan Froomkin launched its popular White House Watch column in 2003. He provided an enthusiastic daily corrective to overly credulous mainstream press coverage and was hailed for exposés regarding the run-up to war in Iraq, warrantless surveillance, and detainee policies that sanctioned torture and cruelty. (Obama archives; Bush archives) When he and the Post parted ways in 2009, there was an outcry from a legion of devoted readers. At the Huffington Post, as Washington Bureau Chief and Senior Washington Correspondent, he produced tell-it-like-it-is, connect-the-dots journalism holding both the Obama administration and GOP leaders accountable. He has also spent the past nine years crusading for more aggressive reporting at the Nieman Foundation for Journalism at Harvard, as deputy editor of the NiemanWatchdog.org website and now as a contributor to Nieman Reports. He is active on Twitter and Facebook. More about Dan Froomkin here. The Snowden leaks have exposed the need for a national discussion on privacy, but it isn't happening. Prisons are a vast, undercovered but important beat. Instead of reporting the obvious, political reporters write triangulating mush that leaves readers to fend for themselves. Bezos purchase may be a last chance for newsrooms to become 'nerve centers for the Internet'. The U.S. government is willing and able to use journalists' telephone and Internet records to pursue sources who leak secrets to the media. So we have to work harder to keep their identities secret. If the extraordinary secrecy that has spread throughout our government since 9/11 is what makes it difficult to hold a public debate on key issues, then the media's role should be to push back against that secrecy. And our most powerful weapon is reporters. Although nearly 50 million people -- about one in six Americans -- live in poverty, defined as income below $23,021 a year for a family of four, most news organizations largely ignore the issue. But persistent poverty is in some ways the ultimate accountability story -- because, often, poverty happens by design. To many people, watchdog reporting is synonymous with investigative reporting, specifically, ferreting out secrets. But there's another, maybe even more crucial form, that involves rebuffing and rebutting misinformation. Members of the mainstream media are so terrified of appearing biased that they couldn't bring themselves to report about how the Republican Party lied its way through the 2012 campaign with impunity, argue Thomas Mann and Norman Ornstein. "If voters are going to be able to hold accountable political figures, they've got to know what's going on." We stifle some of our best stories with a wet blanket of pseudo- neutrality. We edit out tone. We banish anything smacking of activism. We don't telegraph our own enthusiasm for what it is we're doing. We vaguely assume the readers will understand how valuable a service we're providing for them -- but evidently, many of them don't. Fear was the biggest factor in the press's decision not to challenge President Bush and his aides as they made what turned out to be a plainly specious case for war. The blistering critique of an overly credulous press corps by former White House press secretary Scott McClellan reignited a debate over the performance of mainstream journalists during the run-up to war in Iraq. But it's really not a debate at all. Bloggers are taking up where the great rebel journalist left off, but if the news industry is to thrive on the Internet, reporters and editors shouldn't be far behind. News organizations would do better online by replacing their bored monotone with a passionate adherence to traditional journalistic values. At the Scooter Libby trial, the behavior of elite members of Washington's press corps -- sometimes appearing more interested in protecting themselves and their cozy "sources" than in informing the public -- is being exposed for all the world to see. Progressive activists savored far fewer victories than they had anticipated in Obama's first term -- and they've licked many more wounds. They are chastened by the reality that Obama is a politician, not an activist. They are humbled by the profound grip that money has on the Democratic party, as well as Republicans. And perhaps more than anything, they have learned that if you don't push a president hard, you don't get the best out of him. The Obama administration is operating amid unprecedented secrecy -- while attacking journalists trying to tell the public what they need to know. Book review of Hedrick Smith's gripping history of the 40 years since wealth started falling up. Two books about national security paint a disturbing picture of expanded and unrestrained power as Obama secretly pursues new ways of waging acknowledged and unacknowledged wars.